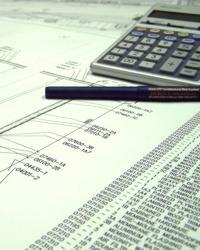 Free Planning & Estimating Service: What is Included? Effective and early use of Nixalite’s planning, estimating and installation resources will help assure consistent and accurate product estimating, ordering and installation. Nixalite services, resources, tools, and installation aids are all designed to make your installation/application a smooth process. Nixalite can review your pest bird or nuisance animal control project and provide you with a comprehensive control evaluation. This often includes product sheets; information on where and how the control should be installed; and how much product would be needed for your application. If needed, Nixalite could include example drawings, tips, hints, and shortcuts that can save you time and money. To provide our customers with this FREE service, we require accurate and complete dimensions for each surface to be protected. ALL of Nixalite’s bird spikes, netting, post & wire, pastes, repellents, and hardware are DIMENSION DRIVEN. The size of the surface and/or area determines the quantity of bird control product. Without accurate dimensions, we cannot provide you with accurate evaluations, estimates, quotes or any other cost related service. For most evaluations the information can be sent in the form of accurate and complete dimensions for each surface/area; drawings with accurate and complete dimensions; or in the form of photos accompanied by the aforementioned accurate and complete dimensions and basic descriptions of what you expect of the control. Please note: Our free planning services do not include searching sets of plans or investigating online sources. Search and discovery is a paid planning service and is not free. If you can send the appropriate plan pages or dimensions of the areas to be protected or enclosed, we should be able to provide the requested proposal quickly. Nixalite can simplify the bird and/or animal control planning and spec writing for you. Nixalite can provide installation example drawings, custom installation procedures and most other technical resources commonly needed for the spec writing & bidding process. In most cases these services are free. Nixalite will require accurate and complete dimensions for each surface to be protected. Contact Nixalite for planning guides, estimating tools and installation instructions for most of our products. 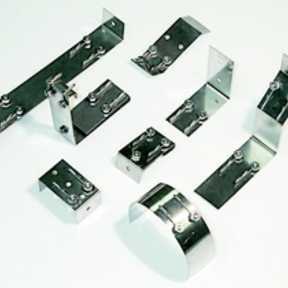 We offer designs for mounting hardware templates, installation instructions, installation procedures, custom form designs and installation example drawings. All of which can help speed up your installation. If you will be sending dimensions please make sure they are accurate and complete. Please review the Evaluation Services page. Nixalite offers the same high level of service to anyone planning, specifying or installing Nixalite’s bird and animal control products. Homeowners will appreciate our easy-to-use up to date estimating, planning and installation guides. If you have questions about an installation, Contact Nixalite. The Nixalite Planning Department offers very useful and unique services. The planning department has many pre-drawn installation examples that you can get from the Automated Estimate Worksheet or Nixalite can send them to you by e-mail, fax or mail. Each drawing created by the Automated Estimate Worksheet provides the quantity of Premium Nixalite spikes required for each surface and an installation drawing that you can view and print. Nixalite designs and manufactures special installation forms to help you fasten Nixalite’s architectural bird and animal controls to difficult surfaces such as; structural steel, ceramic tiles, fragile stone, and glass. For more information please refer to Custom Forms. Note: custom forms are hand-made, they are non-returnable, non-refundable items so supplying accurate dimensions is critical. Occasionally, you may have a surface shape or composition that dictates the use of unique installation procedures. 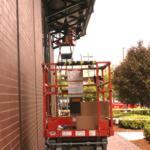 We have developed procedures for installing our products on a variety of surface materials and shapes. If you have an unusual application, Contact Nixalite. 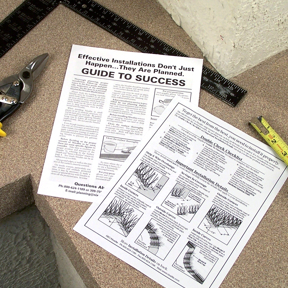 Distribution Literature – for our established contractor and distributor customers. Contact us for details. Free catalogs, cut sheets, example drawings and in some cases material samples. Contact us for details. Multiple Product Design – when more than one product is needed for control. Review the information below BEFORE sending your project information to Nixalite of America, Inc.
– Make sure each area is accurately and completely dimensioned. – Make sure that each problem area is clearly marked on the plans. 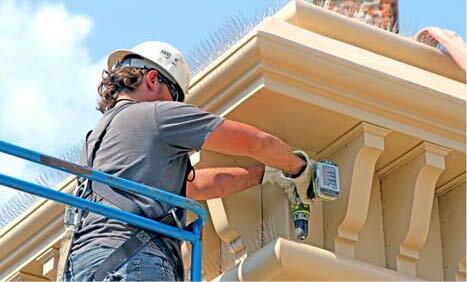 – Identify the surface materials and any special considerations for installation. – New construction: clearly indicate each surface that is specified for control. Make sure each area is accurately and completely dimensioned. – New construction: send written specifications along with the dimensioned plans. Check our Electronic Formats page to ensure the correct materials for proper evaluation. All requirements apply to both printed media and digital files. – Make sure the photos show the problem areas clearly. – Accurate and complete dimensions must accompany the photos. 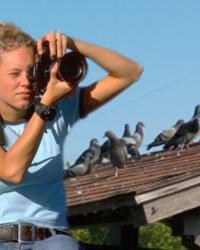 – If not shown in the photo, identify the problem bird and/or animal. On-Site ConsultationNixalite representatives can meet at your project site and assist in the troubleshooting of the problem areas and recommend proper application and installation of the appropriate products and methods to successfully sold the specific issues of your job. Arranging for a mutually agreeable meeting time and place for all parties involved are done in advance. There are costs associated with this service and time constraints may apply. Please contact our planning department as early as possible to schedule your on-site consultation and to inquire as to the cost for your specific meeting.